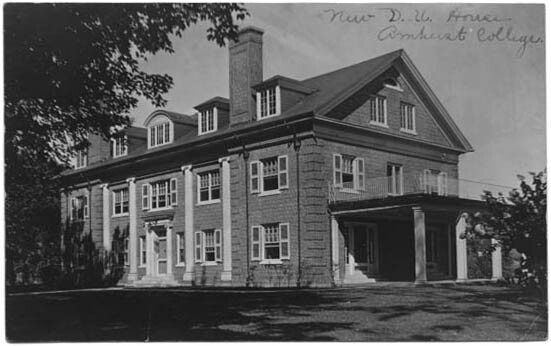 The home of the Delta Upsilon fraternity was built in 1916, and purchased by the college when fraternities were disbanded in 1984. It was named for C. Scott Porter, Dean of the College for more than twenty years in the 1930s-50s. It is now the German and Russian Culture House, and my room was a spacious two room double on the rear of the first floor (not visible in this photo). Great light, near to town, and free "Jazz at the Jeff" through the window.